With mobile devices invading the market each day, a fair number of schools and colleges are embracing the trend of allowing students to bring their own devices in the classroom. Some institutions are making tablets customary. Special training applications are being developed for helping students. 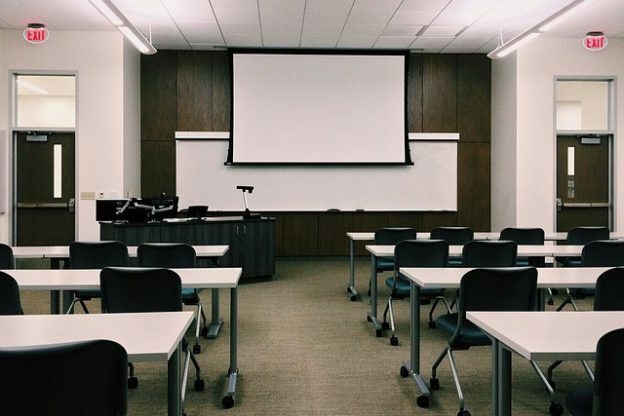 So, when you rent a training room for your session, you may perhaps want to check on the number of charging points in your room and the lighting set up for comfortable usage of technical devices. But is BYOD a good concept after all? We look at the pros and cons. BYOD has several advantages. It allows students to use the devices they are already using and this actually helps improve their productivity. The educational institute also saves on cost of stationary, circulating books, providing laptops and tablets to students and so on. The same amount can be used to rent classroom that has better overall infrastructure for trainees. A mobility program also means paperless access to notes, presentation material, lectures and so on. Students can even submit papers electronically. Especially, if a trainee has missed the training session for some reason after paying for it, recorded lectures and presentations can help them catch up. The usage of too many mobile devices can clutter the wireless network. With so many variants and versions of Smartphone and tablets available in the market, technology can actually cause a class divide among rich and not so rich students. Parents may also not be open to paying for a mobile device to be used in school. Students might get easily distracted while using mobile devices because there are so many other things you can do on them. Before you rent classroom for a training event, decide whether the session will be a BYOD one or a regular one. In case you choose the former, you may need to make special arrangements. This entry was posted in Classroom, Rental, Training Room on November 6, 2017 by .